So have you decided to move abroad to the USA for whichever reason? The United States has some of the most complex immigration laws of any country. Even obtaining a tourist visa can be, not only difficult but costly. There are two basic categories of visas: Immigrant and non-immigrant. Depending on the purpose of your entry into the US, there are various options that may be available to you. The laws and procedure involved in this process can be complicated, overwhelming and expensive. Not only are you paying the US Citizenship and Immigration filing fees, but you will also likely be paying quite a bit in attorneys fees. In many cases, you might be asked to pay the fees in US dollars. Be sure to do that at the best exchange rate possible. Tip: Your local bank is not a good solution. Click the banner below and read about better alternatives. If you are looking to come to the US for a temporary period of time, you fall under the category of a non-immigrant. In this category, you have several options to choose from. The most common reason people enter is for tourism. If you are a citizen of a country that falls under the visa waiver program (many of which are located in Europe), you are fortunate enough not to have to go through the process of applying for a visa. If you are not from one of those countries, the visa you would need is a B2 visa. The B visa will also allow you to enter in the category of “B1” if your purpose in entering is to conduct business. This is not to be confused with an employment visa, however. A B1/B2 visa makes it illegal for you to accept any type of remuneration while in the US. So, if you’re coming in for business purposes, you would only be authorized to perform activities such as attending meetings and seminars, negotiating contracts, and any other activity where you will not be performing actual work, or getting paid for it. To apply for a B1/B2 visa, you begin the process by electronically filing your lengthy application online with the US Department of State. Once it’s in the system, you would then schedule your appointment for an interview at the US Consulate in your country of residence (this waiting process can take weeks, depending on how backed up they are with applicants). Payment of your processing fees does not guarantee you a visa, unfortunately. It is completely discretionary and up to the officer interviewing you to make the determination as to whether or not you qualify to take a vacation to the US. Your main goal in convincing him or her is to show them that you have every intention to return to your home country; that you are not going to enter to the US with the intent to stay there….forever. They want to see such documents proving your beloved family is in your home country waiting for you to come back. They want to see proof of your employment, proof of income, proof of home ownership or leases, anything that proves that have no intention to remain in the US and will be returning home after your beach vacation in Miami….or wherever it is you plan to visit. Another piece of essential evidence is proof that you have sufficient funds to cover the cost of your trip or that, in the case of a B1 visa, the company who has invited you to visit will be taking care of all your expenses. If, and only if, they are convinced, they’ll give you a visa, which is usually good for 5 years. Your entries, however, are only good for 3 -6 months (sometimes less) at a time, depending on how the officer inspecting you at the border feels. Another popular category of non-immigrant visas is the F-1 student visa. This type of visa will allow you to come into the US to study at a university for the duration of your academic program. The problem with this type of visa is that, unless you are lucky enough to find a job on campus, you will not have work authorization. Another hurdle people experience is that you are considered an international student- which means you are not eligible for financial aid of any kind. And you are charged “international tuition” which can be impossible for many people. The benefit of this type of visa is that you can stay in the US for as long as your program lasts and, once you complete your studies, you’re actually given a certain period of time to work, as a form of training (fortunately, you can get paid for this). Most people with F-1 visas begin looking for jobs upon completion of their studies, while they are in the training phase (known as OPT). If they are fortunate enough to find a job, they may be eligible to change their status to an H-1B employment visa, without ever having to leave the country. The employer applies for this type of visa. There is strict criteria involved: the job has to be one that customarily requires at least a 4 year degree, you have to be working in a position which directly correlates with the degree that you have, and you have to be paid a minimum salary for that particular position, per the Department of Labor requirements, which is determined by the type of position, your skill level, and the county which you will be employed. An H-1B visa is generally good for 3 years, and they allow for one extension for a maximum of 6 years. After your 6 years are complete, unless you have applied for and are waiting for (or have already obtained) a green card by then, you would be required to return to your home country for at least 1 year before you’d be eligible to apply for another employment visa. The problem, in recent years, with obtaining an H-1B visa is that you may, in fact, meet all the criteria and be the perfect candidate for this type of visa. However, the US Department of State allocates only a certain number of visas per year. And, in the last couple of years, they’ve been receiving 2-3 times as many applications than the number of visas they have available. So, after paying all that money to an attorney and going through the tedious process of gathering all your paperwork, your application may get rejected before it’s even reviewed. If the USCIS receives more applications than the number of visas they have, your application will go through a random computerized selection process to determine whether or not you’ll be considered. For those who applied in 2015, many cases were rejected, due to the influx of applications received. The good news: the US economy may be improving and the unemployment rate may be going down. The bad news: 2 out of every 3 applications were rejected this year, not based on failure to meet the criteria, but simply because the USCIS received too many applications and did not have enough visas to issue. Don’t worry- if this happens, you will get your filing fees back. If you are planning to stay in the US on a more permanent basis, you fall into the immigrant visa category. If you are eligible to apply for an immigrant visa, known as a green card (or permanent residency), then you are one of the lucky ones. How fast you can obtain this depends on the category you’re applying in. For family-based immigration cases, you would need to be sponsored by a family member who is a US Citizen or, in some cases, a permanent resident. If you’re married to US citizen or are the parent of a US citizen, you’re in the highest category and your visa number is available immediately. In other words, the family based petition and green card application itself can be applied for at the same time, and the whole process, from start to finish, will take about 6 months (sometimes, slightly longer if the non-US Citizen beneficiary is still residing abroad). If you are the sibling of a US citizen, however, you are looking at about 12 years before your green card would be available, during which time you cannot stay in the US and wait. Unfortunately, for immigration purposes, aunts, uncles, cousins, grandparents, nieces and nephews are not considered family members and will not be able to sponsor you. 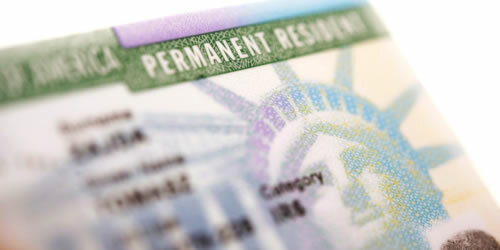 If you don’t have family in the US, you may still have other options for obtaining a green card. The second most popular method is through employment. If your employer feels it’s worth the investment (both time and money), they can sponsor you for permanent residency. This process, however, takes significantly longer and is a lot more involved than having an immediate relative sponsor you. You’re looking at about 1.5-2 years, sometimes longer. Then, depending on the country you’re from and the highest degree you have attained, there may be additional waiting periods for your visa number to become available, which would allow you to adjust your status to a permanent resident. The good news is, if you are at a certain point in the green card process and are currently in the US on an H-1B visa, you won’t necessarily have to leave the country when the visa expires. Under certain circumstances, you may be able to apply for a continuous extension of your employment visa, which will allow to stay in the US and continue working until your green card is approved and issued. The above descriptions are only a few of the most popular methods to enter the US. 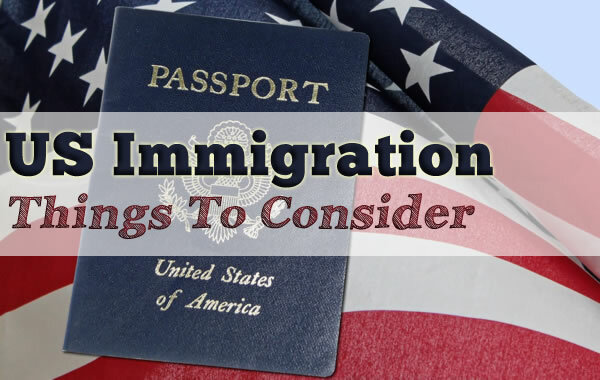 There are, however, other types of immigrant and non-immigrant visa processes that may allow you to enter the country and, in some cases, remain. These include fiancé/spouse visas, investor visas, entertainment visas, asylum/refugee status, intracompany transfer visas, visa lottery, and the list goes on. Things like, simply buying property in the USA, unfortunately, will not get you any type of immigration benefits. Nor will having a child in the US- at least not until that child is old enough to sponsor you. Each type of visa involves complex laws, procedures and criteria, which must be met in order to be approved. Though immigration to the US can be complicated, it is possible. And there are people who have successfully left their countries to come to the US in search of a better life. Others, unfortunately, have spent their entire life savings, not to mention years of their lives, trying to obtain immigration benefits, and have failed. The good thing is that, contrary to popular belief, the United States isn’t necessarily the best country on earth nor is it the only place one can move to have a better life. I can speak to this personally. As a US citizen who practices US immigration law, helping hundreds of people immigrate to the United States for the last ten years of my career, I choose to live outside of the country. Though there are many benefits to live in the US, there is an entire world out there with other amazing places to call home. Like many who have shared their emigration tips on our page focused on living abroad as an expat. The information contained herein does not constitute legal advice. All information provided is intended for general informational purposes and the information may or may not be correct, complete or current at the time of reading. Transmission of this information is not intended to create an attorney-client relationship. An attorney-client relationship is not established until and unless an engagement agreement has been signed.